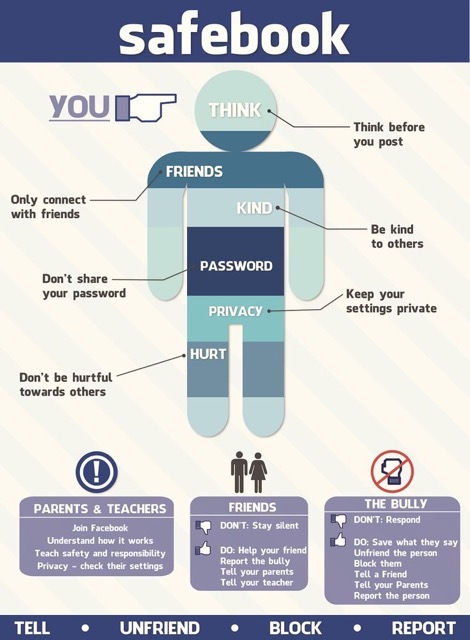 Many of us are ‘connected’ to each other via social media platforms such as Facebook as well as other platforms through our laptops, mobile phones and even tablets; but what we do with it ranges from entertainment to making friends and even towards dangerous activities such as cyber-bullying or illegal activity. Being online is not the same as real life, person A can be someone he/she is not in real life, and even talk like someone that is not them. The Internet is a place, which offers users a lot of freedom, but this can lead people to behave in ways that they do not do in public in reality. They might say things through a status update, a tweet or a post that they won’t say face to face. Or they might even give out personal information about others through a false front. 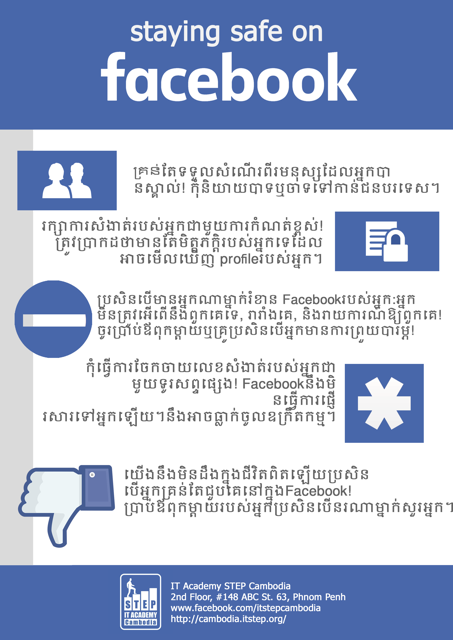 For Facebook, it has been reported that there has been more than 170 million Fake Facebook profiles and this number is increasing day by day. To put it into perspective, 1 out of 10 ‘likes’ you see on a public post by organisations may be by a fake account; and Facebook is pulling out all the guns to stop it. In 2015, the job-scope of creating and selling fake profiles hit the million-dollar industry mark. People are buying and selling these fake profiles to up their fan count on their business pages or their own celebrity pages. How this benefits the industry is that it will allow companies to make a quick profit and spend a tiny fraction of that profit, to gain ‘fans’. Ever since March last year, Facebook has been actively removing profiles that are inactive, thought to be duplicates, or fakes. Overnight, this caused over a million profiles to be axed and destroyed. For many people who have started to utilize Facebook, it is seen as a platform to do business, make friends and to even create multiple accounts to adopt different identities. 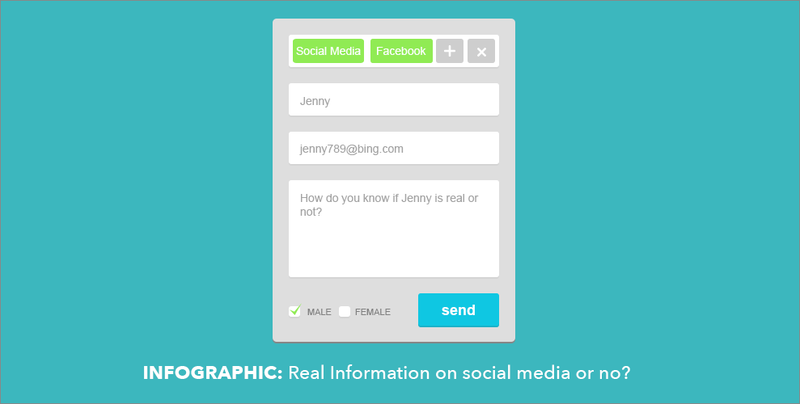 However, this will lower your authenticity level online and your profile might be at a risk of being destroyed. 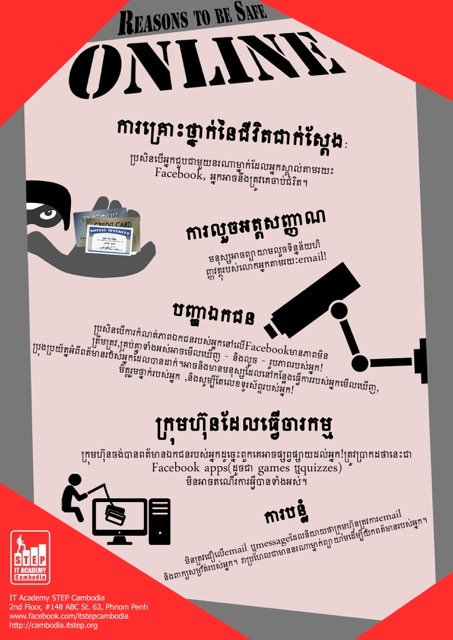 In order to prevent this from happening, it is recommended for Social media Users to input correct and true information into your profile pages and this will certainly boost your security levels and to not risk being banned from Facebook. 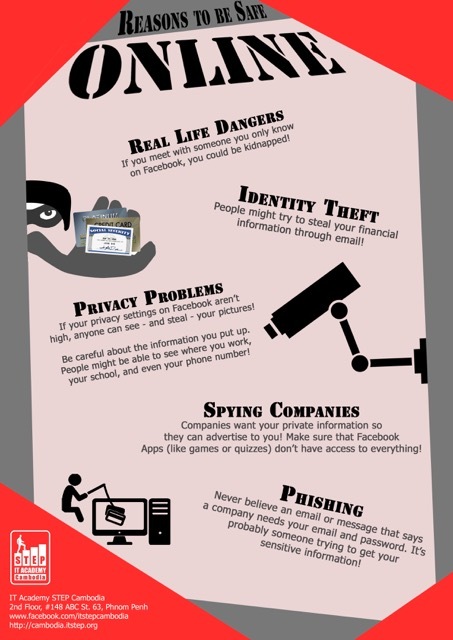 That being said, once you start embracing your true identity online, there will also be dangers where people will target you for your data. 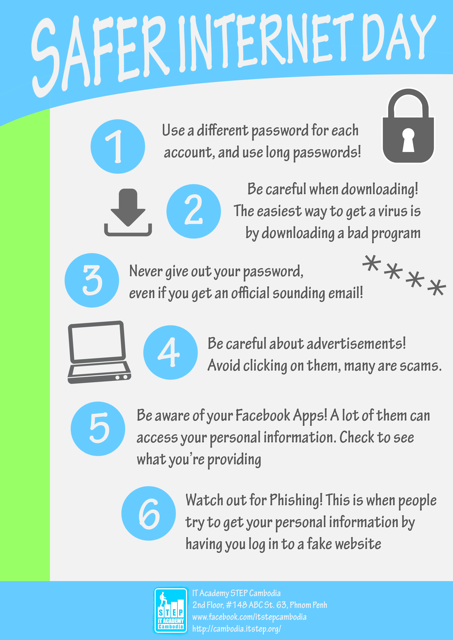 However, here are some tips in the form of an infographic (courtesy of IT Academy STEP Cambodia) to help you be safe, real and secure in the vast world on the Internet. *Note: If you suspect a fake profile or someone online is of harm to the community, do not hesitate to report it and the different social media administrations will take a look and carry out the necessary actions. Reference 1 & Reference 2.